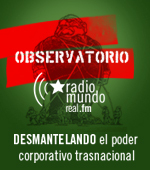 REAL WORLD RADIO is a multilingual web radio and media project, located in Montevideo, Uruguay and supported by Friends of the Earth International (FoEI). Real World Radio has an environmental focus, distributing information on environmental conflicts, working under the slogan "giving voice to the voiceless”. Real World Radio airs in three languages: Spanish, English and Portuguese. Real World Radio’s main goal is to create a space where community radios in the world exchanges productions on sustainability and environmental issues. Real World Radio covers the struggles and realities of peasants, indigenous people, victims of oil and mining exploration, fishermen, workers, victims of unsustainable development, activists, and members of civil society and social movement organizations – all mainly environmentalists. The keystone in Real World Radio work is the technological convergence: through Internet spread information and material that can be redistributed by community radios. The web radio publishes information both in audio and written text, making information available to be redistributed in both formats. Real World Radio considers it essential to give voice and space to movements and organizations that are usually silenced by corporate media. 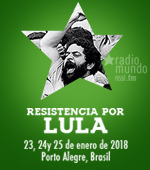 Real World Radio aims at amplifying the global movement against neoliberalism and capitalism in its various forms, by covering activities globally. 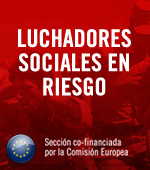 The daily work of Real World Radio focuses on the struggle of the peasant movements and indigenous organizations; human rights actions; the denunciation of power and impact of transnational corporations; the struggle for climate and environmental justice; and the struggle of GMOs and agro fuels among other things. 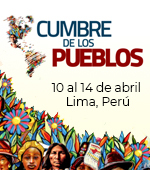 The information is categorized under the following topics: Water, Resisting Neoliberalism, Forrest and Biodiversity, Human Rights, Gender, Extractive Industries, Climate Justice and Energy and Food Sovereignty. Friends of the Earth International is the largest grassroots environmental network in the world, uniting 70 diverse national member groups and about 5,000 local activist groups. With approximately one million members and supporters around the world, Friends of the Earth International is campaigning on social and environmental issues; questions the economic model and globalization, promoting at the same time solutions that create environmentally sustainable and socially just societies. Today, Real World Radio is consolidated as a counter-hegemonic media outlet for activists and grassroots social movements.